The Rostov district military court, which held an off-site meeting on December 4 in the premises of the Kremlin-controlled Crimean garrison court left in custody the individuals involved in the fabricated "Yalta case" of Hizb ut-Tahrir, Amnisty International, international human rights organization informed on their Facebook page. “Detention of all involved was extended until May 27, 2018. In addition, Emir-Usein Kuku and other detainees were sent outside Crimea. A preliminary hearing will be held on December 11 in the North Caucasus Court in Rostov. The struggle is just beginning, and these people really need our unity and support," the message says. 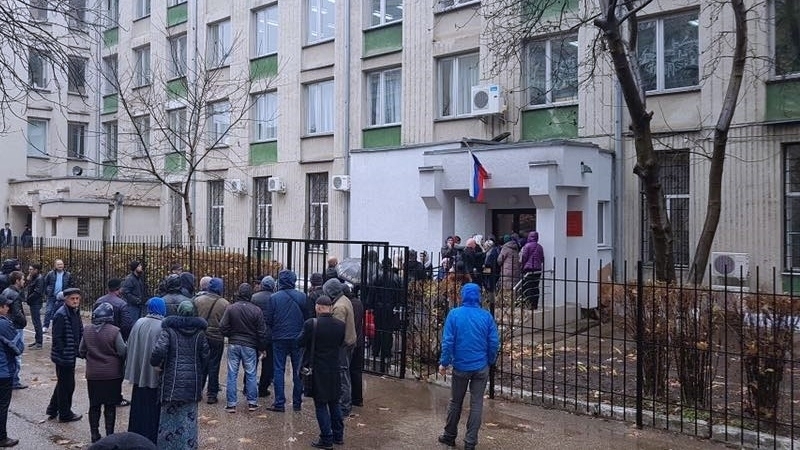 After the court session, the relatives of the political prisoners were informed that the detainees will be transferred to Rostov within 3-4 days. Earlier, the Prosecutor demanded an extension of the detention for Emir-Usein Kuku for another 6 months. Meanwhile, the defense lawyer requested for preventive measure of home arrest, since there are no legal grounds for keeping Emir-Usain Kuku in custody. It worth noting that, at 9:00 (Kyiv time), the off-site meeting of the Rostov District Military Court began in Crimea. "The Court" considered the issue of changing the preventive measure for Emir-Usein Kuku, human rights defender. According to the information in social networks, Meryem, Kuku’s wife was allowed to enter the court building. The so-called case of Hizb ut-Tahrir has become a “hallmark” of the Russian Federal Security Service struggle against dissident Muslims in the Crimea. Under the pretext of suspicions in terrorism, calling their repressive actions a fight against extremism, Russian security forces break into homes, carry out massive illegal searches and detentions.